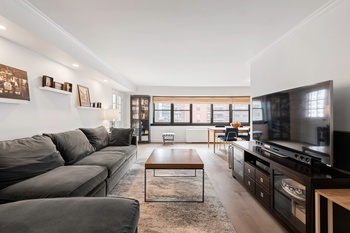 A renovated Yorkville co-op graced with a thoughtful layout and a sun-drenched terrace, this convertible 3-bedroom, 2-bathroom home is an exemplar of classic New York City living. 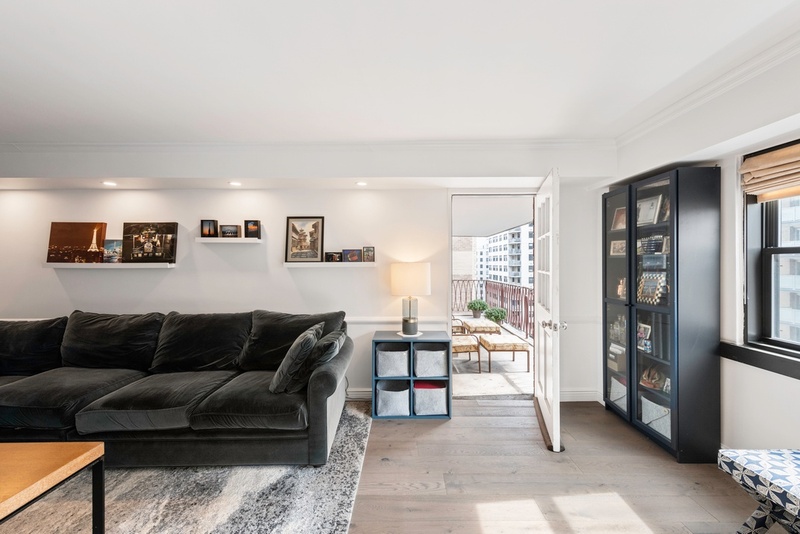 Features of the apartment include gorgeous new hardwood flooring, large windows with southern exposure, beautifully remodeled bathrooms, and a spacious terrace that receives lovely morning and late-afternoon light. Beyond a tasteful foyer adorned with a huge walk-in coat closet the home flows into an expansive living and dining space. The living room leads out onto the terrace while the dining room sits adjacent to a galley-style kitchen equipped with sleek countertops, a glass tile backsplash, and a suite of high-end stainless steel appliances that include a Wolf oven and microwave. 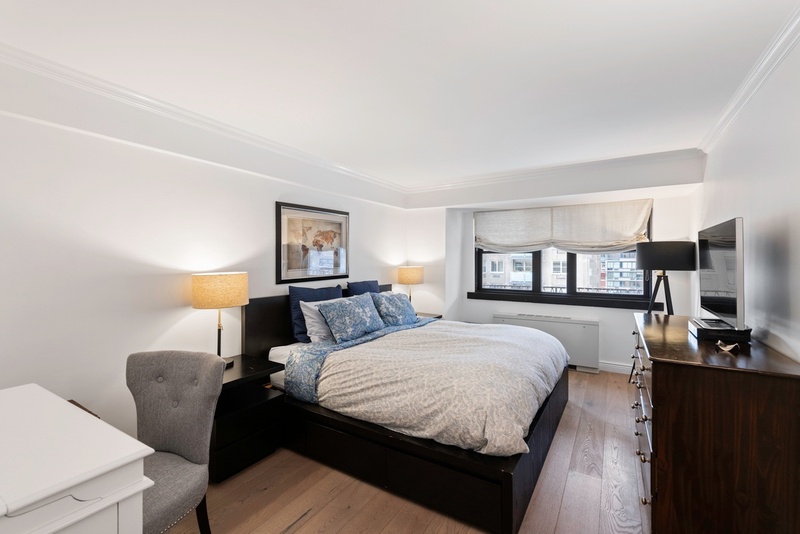 The quiet master bedroom possesses a walk-in closet, an additional reach-in closet, and a private en-suite bathroom with Brizo Siderna fixtures, Robern medicine cabinets, and an oversized shower. 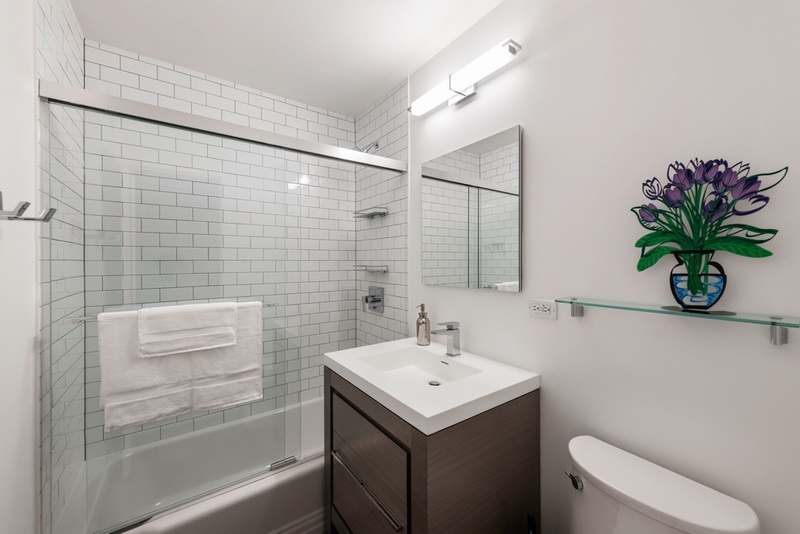 The second bedroom has a large reach-in closet and easy access to a second full bathroom. 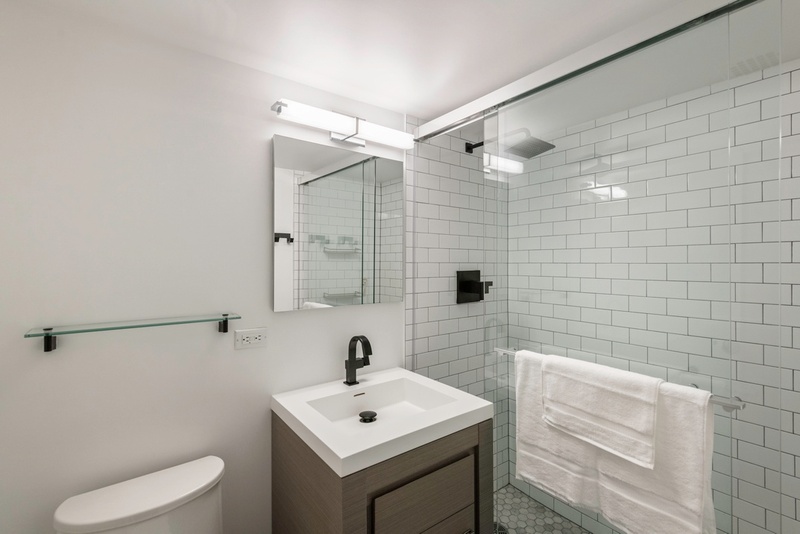 Both bathrooms were renovated in mid-2017 and have updated plumbing and electrical. 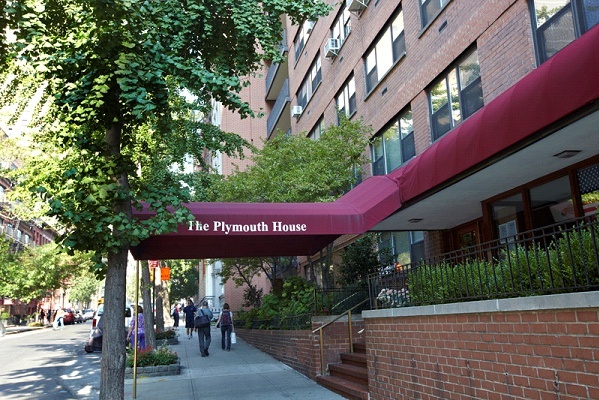 The Plymouth House is a full-service co-op nestled on the western edge of Yorkville. 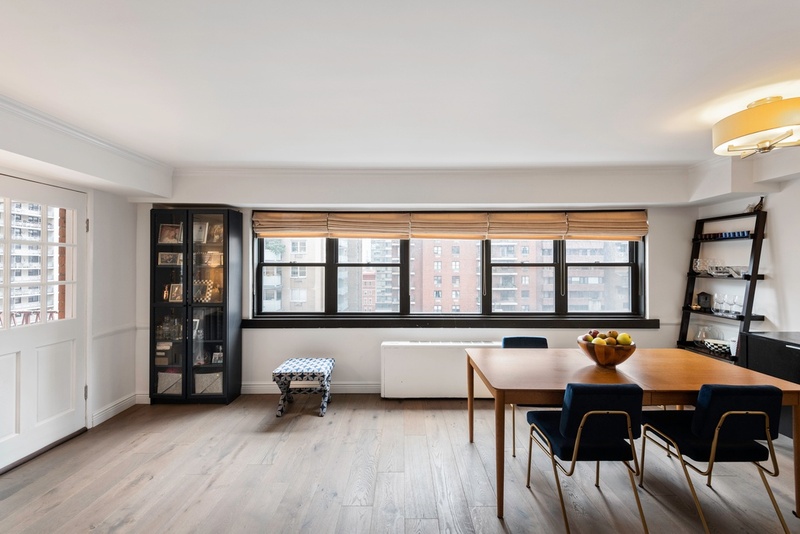 The building is surrounded by a wide range of restaurants, bars, cafes, and shops, and is around the corner from Whole Foods and Fairway. 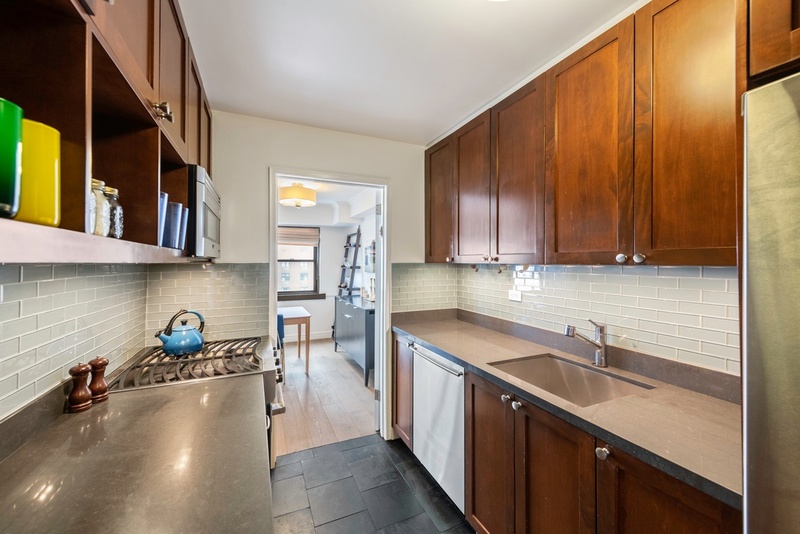 Central and Carl Schurz Parks are both less than a 10 minute walk away. 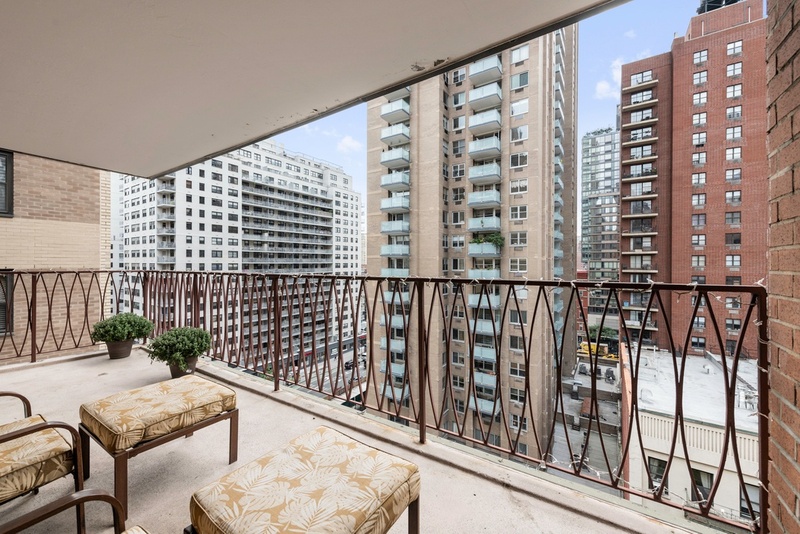 Amenities include a 24-hour doorman, a live-in super, common laundry facilities, bicycle storage, a rooftop garden, and a basement level parking lot. Additional storage is available. Nearby subway lines include the 4/5/6/N/Q. Pets are welcome. Current assessment requires monthly payments through February 2020. 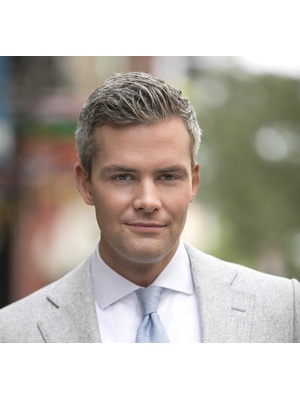 Electric is a flat, $135.40/month fee.